Are you interested in buying a business in the Minneapolis area? If so, look no further than the qualified team of brokers and advisors at Sunbelt Midwest for expert guidance. As one of the top divisions of Sunbelt – the largest brokerage firm in the world – we’re well-acquainted with our buyers’ standards and goals. Our local brokerage firm is well-practiced in assisting buyers with locating companies on the market that match their unique criteria. Partnering with Sunbelt Midwest is the best way to ensure sales, mergers and acquisitions go smoothly. We complete valuations for our sellers to ensure their businesses’ sales rates and values correspond. Corresponding to your preferred industry, location, and price range, we can match you with the perfect seller. To simplify the process for clients looking to buy a business, the team at Sunbelt Midwest offers access to detailed listings. 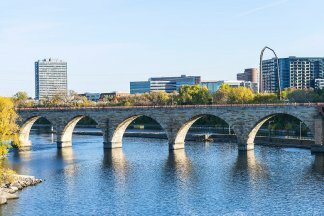 Rather than wasting time and effort looking in all of the wrong places, you can find promising business opportunities in Minneapolis and other Midwestern areas in a fraction of the time. Our business brokers and M & A experts will also assist you with negotiations, as well as obtaining financing. Merging with or acquiring a business are lengthy, often confusing processes. The brokers and advisors at Sunbelt Midwest are some of the best in the industry. We’ll act as a buffer zone between you and potential sellers – ensuring your interests are protected from start to finish. Our team possesses the experience and resources necessary to facilitate your business transaction.